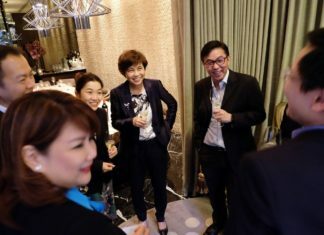 The new format for the Thought Leadership Forum on Design Thinking, jointly organized by NTT Communications (NTT Com), VMware and CIO Academy Asia, got off to a rousing start. Demonstrating that they take Design Thinking to heart and echoing Deputy CEO Rama’s sentiments that “if it’s not broken, improve it”, CIO Academy Asia gamely shook up the usual Forum format by launching into the workshop exercise from the get-go, putting 25 CIOs and tech leaders through the paces to a hands-on experience on what Design Thinking involves. Led by Design Thinking expert Manny Fassihi, the exercise paired participants to work on designing a wallet for each other using Design Thinking principles. From solo efforts at first to engaging each other with questions and empathising while suspending assumptions, the exercise led participants through stages involving the reframing of problems, ideating, feedback gathering, synthesizing, iteration, prototyping and testing. Beyond the hands-on activity, the exercise’s deeper purpose found resonance among participants when asked to reflect on how Design Thinking approaches could translate to their own work. Participants noted that it usefully showed the importance of not innovating in a vacuum, and the need to engage end-users with questions, empathy, without imposing or leading with presumptions or pre- existing solution ideas. It was also noted that the process called for trust in the cross-functional collaboration, and being open and sensitive enough to possibly pick up on unarticulated needs or aspects. 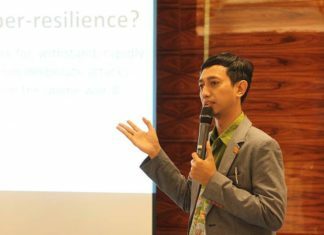 The themes and insights surfaced at the workshop exercise found echoes in the keynote by Kiyoshi Matsumoto, Director of Cloud and Managed Services from Enterprise Product at NTT Singapore. Design Thinking was not new in itself, he noted – but it is still seen as new to IT organisations and thus adoption tends to be moderate at best. If IT leaders are willing to adopt the principles however, improvements to user experience may be accelerated. He related NTT Com’s history and journey to adopting Design Thinking as a case in point. Building on their core strengths in developing technological service offerings and business partnerships, he shared how the management increasingly saw the need to improve their services’ desirability to end-users and develop internal capabilities to do so. Starting with a UX Design Studio in 2011, NTT Com gradually incorporated Design Thinking’s structured approaches to innovation internally, serving as the basis for subsequent digitisation, kaizen and design transformation initiatives. They looked into the structuring of work processes e.g. how designers’ work differed from engineers’ and how to acculturate workers to Design Thinking-oriented ways of approaching work. The efforts to cultivate Design Thinking from within led to the development of handbook for employees and thereafter implementation of the approaches with customers. NTT Com’s Design Thinking-led journey and relationship with Mitsui Chemicals and McLaren were cases in point, showing how the structured understanding of both clients’ different needs led to innovation in the way they delivered and served their technology solutions. 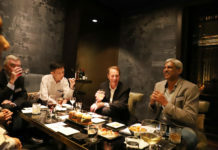 From a contrasting perspective, Vijoo Chacko, Senior Director of Cloud Services for APJ at VMware shared how industry trends and emerging needs of businesses have spurred the need for Design Thinking in VMware’s approach to solutioning. Recent years may have seen remarkable technological breakthroughs and changes but he argued that the most profound change may be consumers’ frames of reference and expectations, reflected in their interactions with online services. The new retail landscape is all about UX, he said, and apps lie at the centre of transformation of enterprises’ interactions with customers. VMware’s aim is to help businesses transition toward app- driven and app-centric customer experience and competitive differentiation. This in turn implies end- users’ expectations of robustness across different devices, use of different applications and across any cloud. 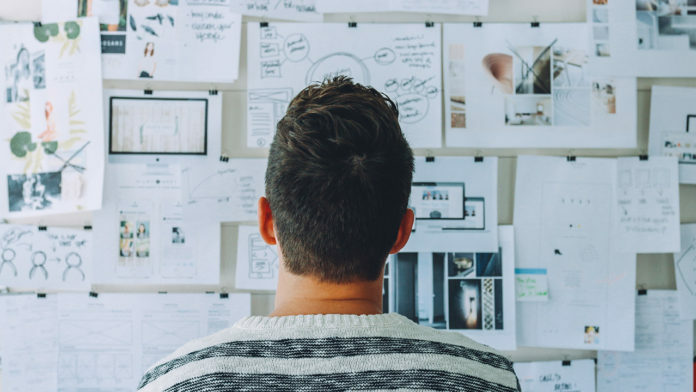 From a Design Thinking perspective, understanding clients’ key needs was the basis for VMware’s focus on delivering consistency across their cloud infrastructure and operations. This was especially so for clients with legacy systems but yet need flexibility. From the clients’ view, consistency was a foundation for transformation initiatives that enables agility while reducing complexity and risks. All About Mindsets Rama took discussions to a higher notch in a panel session comprising the prior speakers along with Flora Ng, Vice President of IT Asia Pacific at Johnson & Johnson Singapore. Kicking things off with a deliberately provocative gambit, he noted that Design Thinking is currently popular but there have been older methodologies for approaching innovation e.g. Information Systems Planning (ISP) and Structured Analysis and Logical design (SALD) – so, what’s so great about Design Thinking?Manny agreed that Design Thinking is not new, but the difference lies in its emphasis on mindsets and the need for empathy with users rather than approaching things mechanically. The key is to truly understand the WHY of motivations, perhaps even going beyond what is said, developing prototypes and iterating. As such, Design Thinking refocuses on mindset change and allows more leeway for less structured approaches that incorporate user input, feedback and ideation with empathy. This differs from other process-centric approaches that tend to move into formalized methods.On the application of Design Thinking in an enterprise space, Flora said it has led to the use of customer empathy maps in J&J that put users at the center of considerations. This has enabled better understanding of what customers are seeing, thinking and feeling. 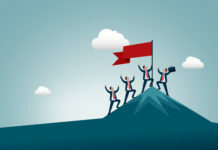 As J&J’s IT infrastructure lead, it meant the use of agile development methods that enabled rapid development and demonstration of prototypes and test run from the cloud and leveraging on NTT Com’s solutions. Getting Into the DNA Flora stressed that it is also important for innovation and mindset change to be part of the organisational DNA and not just confined to IT. Organisations should actively enable programs and platforms for ideation and exchanges both internally and externally with the customers.To her point, Rama probed on the origins of NTT Com’s Design Thinking journey with Mitsui Chemicals i.e. how it came about, whether it was planned or were the successful results due to serendipity? Mr. Matsumoto shared that extensive consultations and conversations transpired between the client’s business units and engineers to surface needs and perspectives. Differences in views had to be arbitrated and reframed but despite the complexities, the key to the relationship was a willingness to engage and be open. This ‘open collaborative and innovation’ approach led to the overall success of the Mitsui project. No Such Thing as One-Size-Fits-All Vijoo agreed and related how VMware’s customer-centric and empathetic approach led them to realise clients did not want to be boxed into prescribed solution choices. Instead, VMware was able to offer them hybrid cloud solutions and their benefits instead as a result of practicing the core principles of Design Thinking in practice, even though they did not call it Design Thinking at the time.A more complicated picture arose with a participant’s question on catering for different customer segments. Designing for one may be easy but how does one approach Design Thinking for different customer segments? Rama shared his anecdote of how Frenchmen do not typically keep their wallets in their back pockets the way most Asians do, which helped to illustrate that there is no one-size-fits-all solution when it comes to wallet design or in other contexts.Manny agreed, reiterating the need to adapt to context and understand real needs. He suggested this may be achieved with the creation of personas with different needs or usage journeys. He also commented that this attention to context applies when it comes to addressing the difference between prototyping and scaling. Scaling and Growing Pains Flora agreed that while there are challenges to scaling Design Thinking solutions in organisations, it can done if the approach to product development is done right and product value and needs are addressed. Possibly more challenging is how to reconcile the different aims and skillsets needed between development and operations i.e. 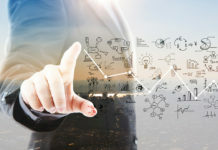 development teams need to move and deliver fast while the key focus for operations is to lock things down and enable performance.The conundrum for them is how to introduce new technologies or approaches without risking disruption to the environment; security is also a constant concern.Customers are also changing and will increasingly impact product development and offerings, she said. From J&J’s perspective, this means not only product reformulations but also changes to usage channels and customer experience dimensions – which creates more pressure for their IT leads. Overcoming Resistance A participant commented that organisations and especially IT departments hesitate to embrace Design Thinking because prototyping is seen as ‘throwing open the floodgates’ and might even unintentionally lead people on in terms of what they can realistically expect. IT also has to grapple with legacy and integration issues, much less accommodating the iterative and consultative approaches of Design Thinking. Furthermore, many enterprises lack tolerance for failure and prefer to work on innovation initiatives in silos.Flora countered that seeing prototyping as opening floodgates needs to be actively challenged. Instead, the focus should be on addressing needs and WHY, asking the business questions and approach the Design Thinking process as partnership. No company will accept major failures but they can certainly broach new ideas and be willing to approach Design Thinking at a small scale.After all, Vijoo pointedly asked – what are the options of not changing? The alternative of carrying on as usual is questionable and may no longer be viable going forward. Mr. Matsumoto added that top management and leaders need to embrace and understand Design Thinking to ensure real change and adoption, citing Edison’s 1000 steps to ‘light bulb’ innovation as a reminder and inspiration. Reconciling Practices On The Ground But do organization norms really encourage or enable new ideas and approaches? This will impact on how they achieve a distributed understanding of Design Thinking internally. A quick poll indicated only a few participants’ organisations were undertaking Agile Development, which raised the question of how they might build on the synergies between Design Thinking approaches and Agile Development.More philosophically, someone commented that Japanese methodologies are well-respected for their wide application across sectors and especially in manufacturing. Their application by certain parties in the car manufacturing sector however has not helped them weather storms at the corporate level – a comment that drew much laughter. More seriously, such exceptions were not seen as reflections on the effectiveness of methodologies or Design Thinking. The challenge for Japanese enterprises is to innovate, which Design Thinking can enable in a structured way.Manny agreed that Design Thinking is better suited for certain kinds of problems but not all e.g. engineering problems, although it can help in understanding and managing the process. In his example of transport system breakdowns, Design Thinking perspectives can help to better manage commuters’ experience and reactions. Flight delay scenarios also help to illustrate how processes and protocols kick in for travelers when flight delays occur, thus helping to manage expectations.Against these ways of addressing complex problems, Vijoo noted that the reality is to see them in terms of relative investment in resources and assets. As such, applying Design Thinking principles will require more layered approaches based on understanding of such organisational views.